This week was full of busyness with orthodontist appointments, flooring estimates, farmers' market and the like, but this post is short and sweet like summer. And while summer is nearly over and the farmers' market season is drawing to a close, Bobby, Emily, my sister, and I are still managing some weekend day trips. This past weekend we visited the Findlay, Ohio area where we stopped in at the Findlay Ghost Town. We saw old homes and buildings, listened to a live band, shopped some of the local vendors, and ate some kettle corn and cinnamon pecans. We also did some geocaching both going and coming. And, as usual, I managed to make a little time for some reading. 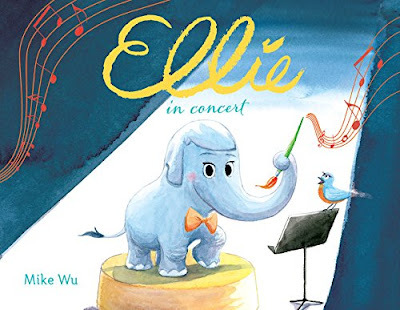 This week I read Ellie in Concert which is the newest book in Mike Wu's Ellie series. In the first book Ellie was an artist, but in this story, Ellie turns her talents to music in order to help a tired friend. Mike's soft and adorable illustrations, as well as his fun sense of story, makes this a wonderful read for children from four to eight. Be sure to stop by again next week when I post about our trip to the Ohio Renaissance Festival. And if you are interested in a trip of your own, check out the following link for a discount! Get $4 off Adult and $2 off Child tickets by using Promo Code "queen17" when purchasing on the secure website at www.renfestival.com. Tickets valid any day of the 2017 season (Saturdays, Sundays, and Labor Day Sept 2 - Oct 29). Online discount only. Not good with any other offers. Have you ever heard the old saying, "Dive Right In"? It means to start doing something with enthusiasm. This is pretty much my motto. Each week I dive into Farmers' Market. I post pictures of my vendors and their products like this one of my card vendor Linda's prizes from the fair. I dive into my baking. And I dive into taking care of my customers and vendors alike. I also dive into my week, scratching each accomplishment off of my to-do list as I finish up. And I certainly dive into reading picture books for review. So when I went to the library this week to change out the children's display case, you can imagine my delight when the librarian told me the book I was waiting for had arrived. Not long ago I ran into Jess Keating at Nerd Camp MI where we were both presenting and where I learned all about her latest book Shark Lady - The True Story of How Eugenie Clark Became the Ocean's Most Fearless Scientist. I always want to support fellow authors, but I can't afford to buy every book by every person I know. So, I did the next best thing. I asked my librarian if she would order it. You can do that you know! And when I began to read, I was really glad I did. Not only do I love biographical picture books, but Jess is a really, really splendid story teller. I adore the way she uses swimming or water related words like "diving" to convey Eugenie's excitement about the ocean, science,and sharks. Now it's your turn to dive into helping a great kidlit author__ go ask your librarian to order a copy too. You won't be sorry. This past week Bobby, Emily, and I took a day trip in effort to make the last days of summer memorable. And what we found was a rare gem in the Columbus/Dublin area called Hayden Falls. The boardwalk to the a small but beautiful falls was a surprise to find in the middle of the big city. This past weekend I also did something I hardly ever do. I overslept. Yes, the woman who naturally wakes up at around six o'clock every day, overslept. Normally this wouldn't be a problem, but I overslept on Farmers' Market morning. And despite the extra forty minutes of sleep, I was still tired. Emily and I were a little late. Some of my tables didn't get moved before my vendors set up. And I was a little forgetful. However, market still went pretty well, and the produce my vendors brought photographed beautifully. 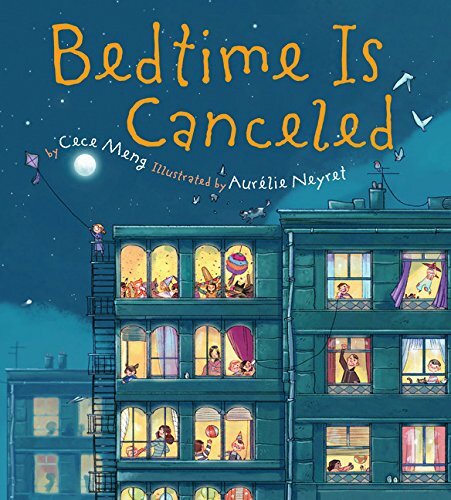 I also stopped at my local library and grabbed a few books to read, and lo and behold, I found a book called Bedtime Is Canceled. Now anyone who has ever been a child can remember the efforts made to extend bedtime as far off as possible. And anyone who has ever been a child can probably remember their parents telling them they were not going to stay up all night. It never kept us from trying though. And the incredibly funny thing about this story is how bedtime mistakenly did get canceled and the ensuing craziness the cancellation brought forth. This book had me laughing with every page turn and is definitely a book I recommend for kids from about five to ten. This past week Emily, her friend, my sister, and I attended a Mud Hens game. This was our second game of the season and since it was the Mascot's birthday there were fireworks after. It's not often we get to enjoy fireworks twice in the same summer. 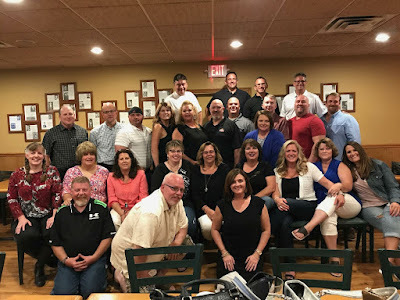 I also attended my thirtieth high school reunion. What can I say? Thirty years. How did thirty years go by so quickly? How can I possibly be pushing fifty when I still feel about twenty-five. Well enough about my age, it was nice to see many of my classmates again. Especially some who I hadn't seen for thirty years. 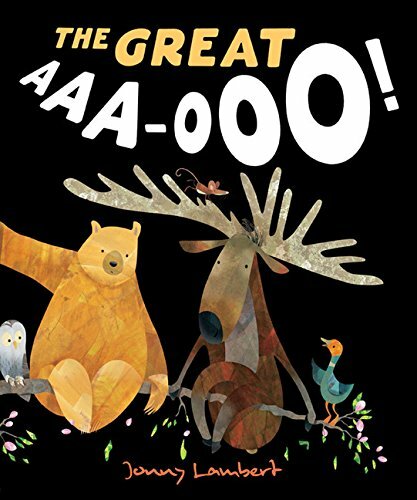 And I wrapped the week up by reading a funny book by English author/illustrator Jonny Lambert titled The Great AAA-OOO. In this story there is a monster in the woods making horrible noises and all the frightened animals end up in the same tree. The hysterics that ensue are terribly funny and the discovery of the monster's identity might just surprise you.